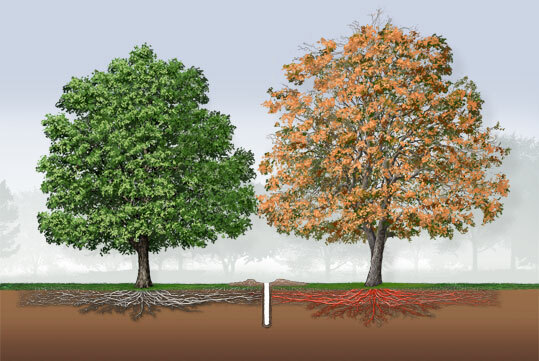 WHAT: As spring quickly approaches, it is important to remember the importance of pruning Oak trees now, within the next few weeks in March, to avoid the spread of Oak Wilt. In fact, November through March is the only time to prune Oak trees because Picnic Beetles are inactive and resting during the winter months. As soon as Picnic Beetles become active in spring, they will again begin to move Oak Wilt from diseased trees to healthy trees. Pruning your oaks after March will increase the chance they’ll become infected as Picnic Beetles are most active during the spring and summer months. So bundle up, pull out those saws and prune your Oaks before it is too late! Though most trees can be pruned at any time, Oaks must be trimmed during dormancy because of their sensitivity to diseases such as Oak Wilt, a widespread fungus in Wisconsin that quickly kills Oak trees. Oak Wilt is a fungus spread by sap-feeding beetles (called Picnic Beetles) as they move from diseased trees to feed at fresh wounds on healthy Oak trees. The disease affects the vascular system of an Oak tree by stopping the movement of water within the tree. Beetles can arrive at a wounded tree within 10 minutes, so it is important to prune Oak trees before the beetles become active in April. Symptoms of Oak Wilt include browning leaves that start at the top of the Oak tree and black streaking in the vascular tissue that is evident when bark is pulled away from the tree. If left untreated, fungal mats will form that cause the bark to split, attracting beetles to feed. These beetles can then spread the disease to even more trees. It is difficult to diagnose Oak Wilt visually, as the most obvious symptoms can be caused by numerous tree diseases, so it is important to request the help of a certified arborist if you fear your tree is infected. At First Choice Tree Care, our certified arborists are able to assist you with the diagnosis and treatment of your tree. Combining these tips with help from First Choice Tree Care will help homeowners create a beautiful landscape they can enjoy all summer long. OPPORTUNITY: Owner of First Choice Tree Care, Ken Ottman, is available to explain the importance of pruning Oak trees by April 1 and proper pruning techniques to your viewers/readers. Ken can also use visual demonstrations to discuss pruning methods. MEDIA CONTACT: For more information, or to arrange an interview with Ken, please contact Tara Kniep at Vollrath Associates at TKniep@vollrathpr.com or 414-221-0213. Ken Ottman is a tree care expert with over 45 years of industry experience spanning the areas of government, the private sector and education. He owns and runs First Choice Tree Care, a full service arboricultural firm. 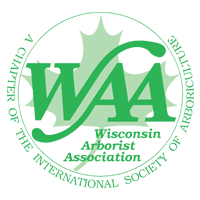 Ken is a former City of Milwaukee Forester, and past president of both the 700+ member Wisconsin Arborist Association and the 25,000+ member International Society of Arboriculture (ISA). He has served on the State of Wisconsin Council on Forestry, chaired the DNR – Wisconsin Urban Forestry Council and the Tree Research & Education Endowment fund (TREEfund). First Choice Tree Care is a full-service arboricultural firm that services residential, commercial and municipal clients in Central Wisconsin and the greater Milwaukee area. The firm is unique in that it employs only ISA-certified, career arborists. They are consummate professionals, fully insured and fully trained on all aspects of tree damage and preservation. First Choice Tree Care serves all of Central and Southeast Wisconsin, more communities than any other Wisconsin tree-care company, and has local offices in Mosinee and Mequon, Wisconsin. For more information, please visit: http://www.firstchoicetreecare.com/.